CAY HILL, St. Maarten–As they continue with their several planed activities in observation of Brest Cancer Awareness Month (BCAM), on Saturday, October 21st from 5 to 9 pm, the Positive Foundation hosted their annual “Painted Pink” event. The event took place at the Kooyman Mega Store in Cayhill, where some three hundred women coming from a cross section of society dressed in their pink color participated. The “Painted Pink” event was one of the largest held activities thus far, hosted by the Positive Foundation, as the organization continues to educate the masses, and in particular, women regarding the significance of they being breast checked. This year’s Breast Cancer Awareness month has as its slogan: “Feel it! Find it! Fight it”. During the event on Saturday, many persons also made use of the opportunity to get check free of charge. Several booths were also installed inside of Kooyman, where persons were able to garner information, as it pertains to the epidemic, which has negatively impacted the lives of millions of people globally. Breast cancer is the most common cancer in women worldwide, and according to the World Health Organization (WHO), it’s estimated more than 2 million new cases of breast cancer will occur among women and men worldwide, during this year, 2018. 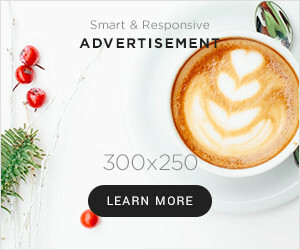 It is for this reason; Breast Cancer Awareness Month is yearly campaign that is geared specifically towards educating people about the importance of early screening, test and more. This campaign starts on October 1st and ends on October 31st every year. Speaking to our News Department Saturday night at the Kooyman Mega Store in Cayhill, the founder and president of the Positive Foundation, Shelly Alphonso described the annually held “Painted Pink” event, as a huge success, as they continue to educate the population on a yearly basis as it pertains to Breast Cancer. 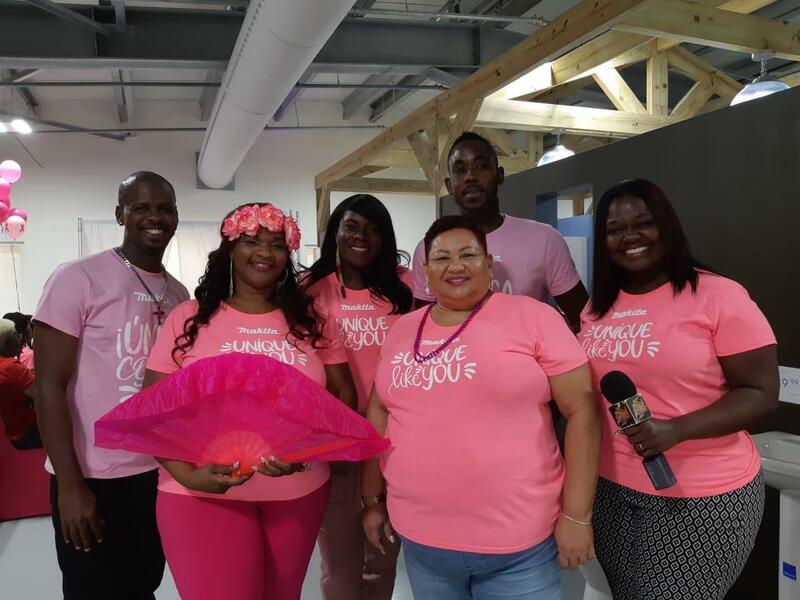 “The significance of this event is basically, we are able to get women excited about pink, as well as get them information about Breast Cancer, while being screened,” the Positive Foundation president, Alphonso said. Three doctors were also on hand to provide screening to persons during the event as well, while students from the American University of the Caribbean School of Medicine (AUC), provided information to attendees about breast care. 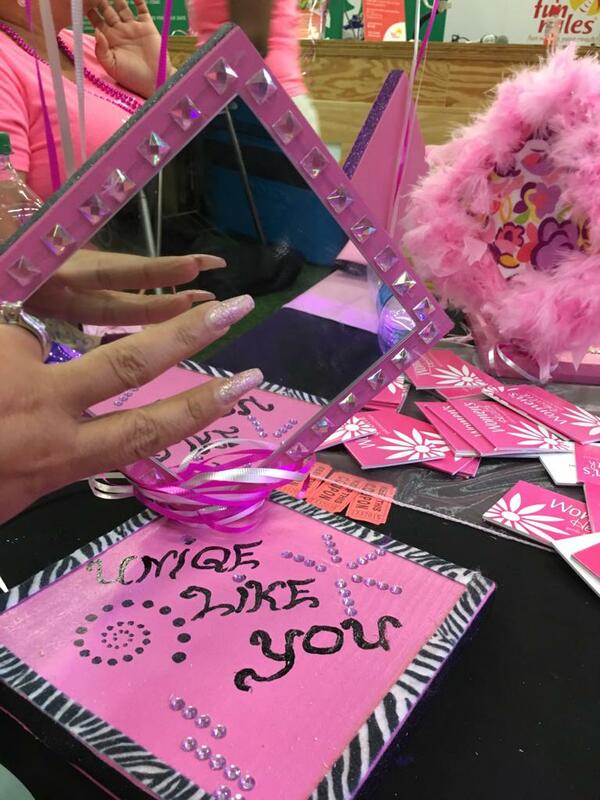 According to Shelly Alphonso, the “Painted Pink” event provides attendees with the opportunity to paint a vanity set in the form of a mirror, in which they can look at themselves in terms of being breast aware. 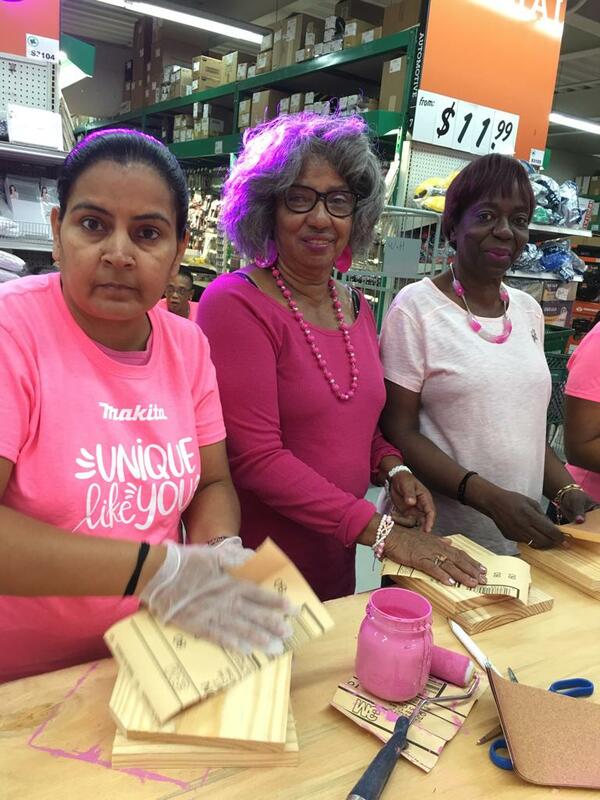 Attendees were also extremely happy to have been able to participate, and expressed their gratitude to the organizers for hosting the annual “Painted Pink” educational event.